One of my favorites - a lovely modern matchbook from a famous old resort. Opened in 1950. You could pick up one of these at the Painted Desert room after you'd had a hearty breakfast. Then it was time to hit the tables! 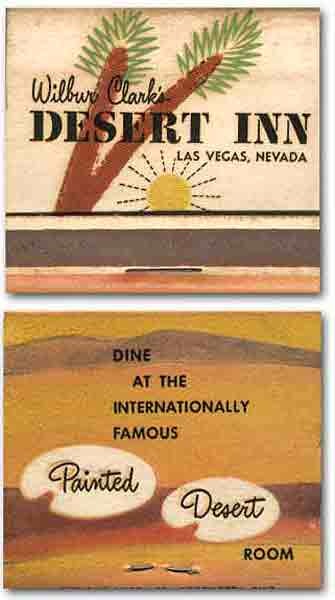 More pictures of Desert Inn stuff can be found here, and a history of the founder is here.